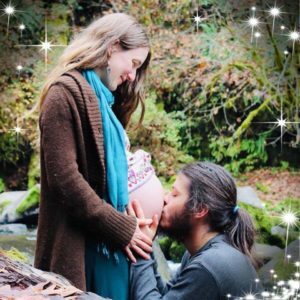 Corvallis Midwife Blog, by AE Johnsdottir MIDWIFE Morning Sickness, X-Rays, & Crazy Hormones- Dr. Laster Tells You Everything You Didn't Know You Needed to Know About Keeping a Healthy Smile During Pregnancy! 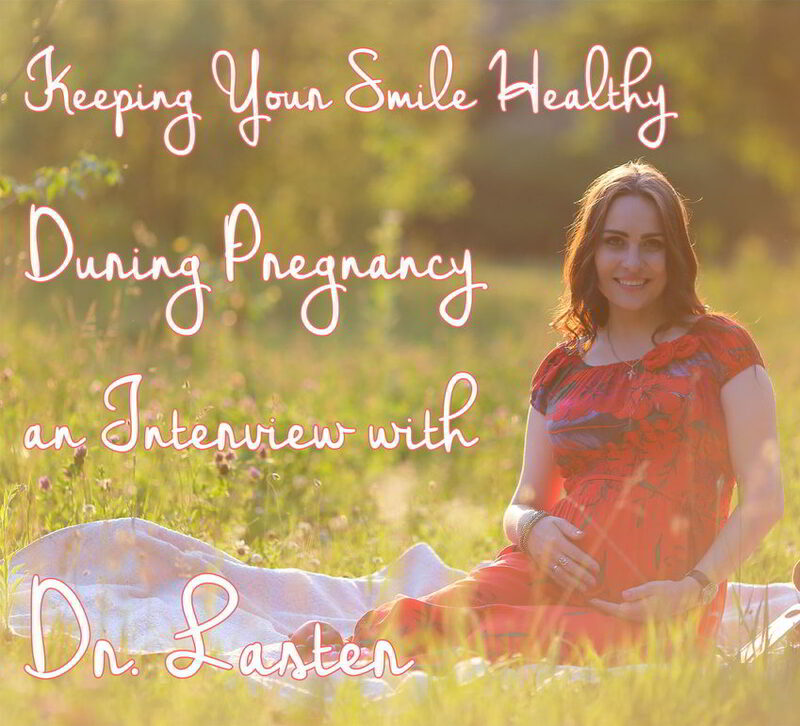 I couldn’t believe my good luck when the amazing Dr. Tom Laster agreed to answer my questions about pregnancy and dental health! We sat down earlier this month and he answered some questions I’ve had about how mothers to be can keep their smiles healthy. Dr. Laster, before we get started, tell us about yourself. 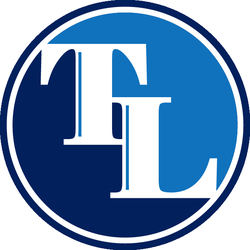 My name is Dr. Tom Laster. I am a dentist in Corvallis who treats all patients from infants to the elderly. In my office, we routinely see pregnant women and mothers who ask these questions, so it’s a pleasure to be able to spend some time interacting your audience, Ash. During my training I was fortunate enough to be able to pioneer the interdisciplinary summer sessions between our medical and dental schools. The knowledge I gained there has been such a great help to me and my patients as we have navigated what therapies they specifically need. I’d say the most common and obvious concern women may have relating to dental health and pregnancy is the effect of vomiting from normal morning sickness or in some cases, hyperemesis gravidarum, on the teeth. Is there anything you might recommend to a woman suffering from frequent vomiting during pregnancy to safeguard her teeth? Vomiting really is a serious concern for many pregnant women. It turns out that the most effective step in making sure there is no long term damage to your teeth is to simply pause and neutralize the stomach acid before you do anything else. It’s tempting to get rid of the sour taste of reflux by grabbing your toothpaste and brushing right away, but skipping the neutralization step will cause you to permanently scrap enamel off of your teeth. There are 4 different ways I advise my patients to neutralize the acid’s strength before they brush. #1—the all-natural method is to allow about 60 minutes for your saliva to buffer the acid away and to try to replenish any lost minerals from the tooth surface. #2—a mouth rinse with added fluoride will act directly on the enamel to microscopically harden its outermost surface in just a few minutes. #3—dairy products, like milk, can reduce the amount of acid in your mouth and replace some of the minerals that were removed from the enamel surface in a few minutes. #4—simple baking soda dissolved in water is a quick and effective way to neutralize the pH levels in your mouth in even less time.Once the stomach acid is neutralized, brushing your teeth with toothpaste is as safe as it always was, so that awful flavor can be finally overcome. Pregnancy hormones can have dramatic effects on a woman’s body- something most people don’t consider is that pregnancy hormones can alter the balance of bacteria in the mouth leading to periodontal disease. Can you tell us more about this and why good dental care is important for pregnancy? Gum issues and pregnancy have always gone hand in hand. A great deal has been written about this relationship, but two main points really stand out to me. The first is that pregnancy does not actually cause gingivitis. Just like for non-pregnant people, dental plaque causes gingivitis. Pregnancy only exaggerates the body’s natural inflammation response to the food and bacteria that live in the plaque. The second is that when gingivitis is allowed to progress into full periodontitis, the baby is at a greater risk for early delivery and low birth weight. These two facts give moms a tremendous amount of power because they mean that stepping up daily home care and increasing the frequency of dental cleanings can lead to a much more comfortable pregnancy and a greater chance that the baby will be born on time and healthy. Of course, good dental care is important for pregnancy, but many women are concerned about the possible effect of x-rays or other things that happen with dental care on their baby. Can you tell us what things your office does to make sure the dental care you provide is safe for a mother and her baby? Tell us more about how you work with women during pregnancy. I always love safety questions because modern dentistry has so many ways we can make sure both the mother and the baby are safe. To be sure, no dentist would choose to perform treatment unless it was completely necessary, but when a pregnant woman needs care, there are absolutely safe protocols and materials that exist. X-rays always seem to be at the forefront of people’s concerns, but thankfully they are a non-issue. Study after study in humans and animals has shown that even if a dentist were to take a complete set of x-rays on every tooth, that dose would still be 1/500,000th of what would be required to harm the fetus. By using lead aprons with neck collars, controlling the size of the x-ray beam, and using electronic sensors, modern dentists have effectively taken the danger out of using x-rays for our treatments. For a comparison, if you were to simply walk around the beach (sea level) for a day, you would get 80X more radiation than what you get from a complete set of dental x-rays. Laughing gas, on the other hand, is something that we are concerned with. A short, one-time use of nitrous oxide won’t cause any long term effects on the baby, but prolonged or repeated use may be toxic to the rapidly growing cells of the baby. With this in mind, we generally never use laughing gas on our pregnant patients. Local anesthetic is also a concern to many women. Thankfully, here again, the amount used is very safe. For nearly all dental procedures, the amount of anesthetic used is well below the range that could have an effect on the growing baby. More for comfort than to avoid danger, we always of elevate the mother’s right side a bit if she is expected to be in the dental chair for very long. The weight of the baby can cause low blood pressure if it is distributed too much onto the mother’s right side. Simply making sure mom is tilted to the left can make a world of difference in her comfort level. We all want the most natural and unimpeded gestation possible, but when a mother’s pain or infection demands that she receive dental care, modern dentistry is a very safe option. Many of the women I work with have other very young children- what age do you recommend children come in for their first visit? We advise moms to bring their children in whenever they see their first teeth. This benchmark tends to happen right around 6 months, so it makes for a perfect time to check for any oral anomalies. Baby teeth truly are thinner and more delicate than adult teeth, so a small problem and can become a big problem remarkably faster for kids than for adults. We encourage parents to acquaint their babies with the sensation of having a toothbrush and floss in their mouths from the first sign of their baby teeth coming in. I know your office works with children, tell me about how your office makes dental visits a good experience for kids. Since so much of a person’s experience is shaped by their initial perceptions, we take extra time to acquaint our newest and youngest patients with what it’s like to simply be in a dental office. We invite them for a fun, engaging, free first visit so they can see who we are, what we do, and how we do it. We let our children have hands-on time with our unique equipment as we employ a “tell, show, do” approach to teaching. Rides in our chairs, polishing their finger nails with our tooth polishers, and a fun prize at the end are some of the high lights that the kiddos love the most. Beyond the initial getting to know each other, we have a very caring and non-confrontational approach to our pediatric dentistry. We feel that gaining the child’s trust far out-weighs the need to perform all of the planned treatment for an appointment, so if we sense that the child has had enough for the time being, we simply stop and redirect all of our attention on to how great the day had gone so far. Thanks so much Dr. Laster! It was great to have you answer my questions. 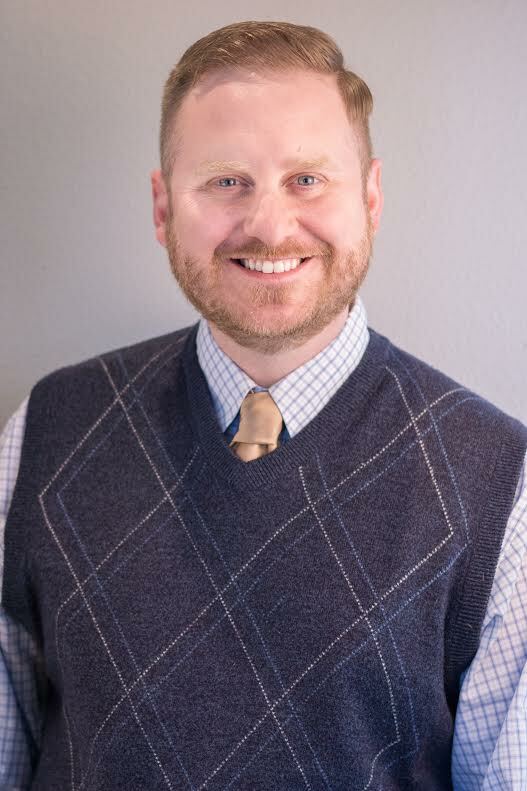 If you are looking for a great dentist in Corvallis, for mothers, kids, or just about anyone, Willamette Birth recommends you check out Dr. Tom Laster! I worked with AE Johnsdottir during her training at Casa de Nacimiento for several very intense weeks. She was very open to learning and willing to test out ideas that were new to her. She listened well, then researched the options. Her sense of humor lightened tense settings, but she was never inappropriate with it. Her honesty was remarkable. I recommend AE Johnsdottir.